Publicado en Málaga Hoy el viernes 20 de octubre de 2017. Nieve hostil, los principios de Tolstoi y un poco de Pushkin. La tormenta de nieve, de Tolstoi, es una obra corta, temprana y menor en su vasta producción, aunque Turgueniev, un exaltado, la puso por las nubes. Los mayores elogios suelen hacérsele a las descripciones de la tormenta. Sí, el ímpetu descriptivo se percibe enseguida; la belleza verbal, no; sospecho que en una traducción se pierde parte de esa belleza que muchos buenos lectores rusos le atribuyen. En todo caso, escribir una novela para describir una tormenta se me antoja desmesura. Publicado en Málaga Hoy el viernes 13 de octubre de 2017. Procuro leer poesía al acostarme; no siempre lo consigo. 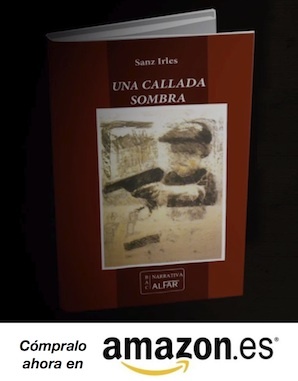 El sueño es obstinado o hay un débito pendiente o me atrapan otras lecturas. 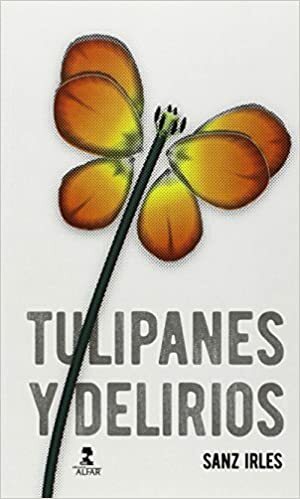 Novelas, cuentos o ensayos me arrastran; la poesía me detiene y como ese no es un estado que me sea innato, lo valoro más. Publicado en Málaga Hoy el viernes 6 de octubrede 2017. Llegaron los cadáveres a las tres de la tarde. En una camioneta los trajeron —en masa, al descubierto— y todos balaceados como era de esperarse. Bajo el solazo cruel miradas sorprendidas, pues no era para menos ver así nada más paseando por el pueblo tanta carne apilada, ¿de personas locales? Eso estaba por verse. Y mientras tanto gritos por ahí, por allá, por lo demás, al fin, chiflo avisor que penetró a cuchillo en recintos tan íntimos como el de Trinidad, quien buscando frescura fue a tirarse gustoso al mosaico del baño, más resuelto que nunca a gozar de su siesta. To the President of the European Commission. We are writing to you as founding members of the grassroots organisation ‘Basta Ya!’ [Enough is enough], winners of the Sarajov prize in the year 2000 for the defence of freedom in the Basque country. As Spanish and European citizens, we are very worried about the confusion with regards to what is happening in Spain related to Catalonia. We do not wish to witness in silence the substitution of facts with propaganda and emotions manipulated by a regional pro-independence government in open rebellion against the Spanish democracy and the European treaties. 1. The citizens of Catalonia, just as the citizens of Spain, vote frequently, in accordance with democratic rules; in Catalonia, 6 times in the past 5 years. It is completely false to state that they are prevented from voting. 2. The Catalan authorities have infringed their own laws: in the parliamentary sessions of 6th and 7th of September they prevented the opposition from exercising their parliamentary rights to present amendments or debate the (unconstitutional) speedy law to hold an independence referendum. 3. The autonomous education has been systematically used to indoctrinate hatred towards Spain, spreading Catalan supremacy and discriminating against Castillian-speaking students (more than half). The students have been used by the Catalan government for protests and public acts in favour of independence, leading to closure of schools and universities by the regional government in order to encourage their participation. 4. Catalonia is one of the most prosperous regions in Spain, and its citizens enjoy a high standard of living and one of the highest levels of self-government of any region in Europe. The region of Catalonia has never been a politically independent entity. It was a grouping of counties that formed part of France, and then the Kingdom of Aragón until it fused into the dynasty of the Kingdom of Castilla in 1492 to create Spain as it is currently. 5. The party that has traditionally governed in Catalonia (currently ‘PDCat’) has spent 30 years using public money, given by all Spaniards, to promote their independence agenda whilst blaming Spain for cuts in social, education, and health policies with the accusation that “Espanya ens roba” (Spain is robbing us). 6. That very same party has its most important leaders – two of whom are ex Presidents, Jordi Pujol and Artur Mas – under investigation for political corruption and have been financed on an ongoing basis by a corrupt system known as the 3%, the minimum that entrepreneurs have to pay in order to have access to any public contracts. The legal investigation of this corruption has coincided, and not by chance, with the speeding up of the independence process, with the hope of saving those responsible from the actions of the Spanish justice system. 7. Spain is a parliamentary monarchy and its constitution can be amended by the procedures foreseen for the case, including a reform which would contemplate the right to independence for parts of the territory, something which today is unconstitutional, as it is in all other countries in the EU, without exception. 8. Voting on secession of a territory, as is being pushed by the Catalan government, in order to be democratic would require the participation of all Spanish citizens, because it belongs to everyone, the state and the territory should be decided by everyone. 9. Separatism undermines democracy: it has broken off violently and unilaterally (there can be no breaking of a constitutional order that is not so) with autonomous and Spanish legality and they have embarked on a campaign to present central government as “evil” for not allowing an illegal referendum, declared unconstitutional by the highest courts. With regards to what happened on the 1st of October, we find it incomprehensible that officers of the law obeying orders to prevent an illegal referendum being held is being referred to as “a mistake” or “clumsiness”. The appropriateness of the legal order can be debated, but the police action was proportional and usual for all European countries in similar cases. The Catalan autonomous police, the ‘Mossos’ (with 17,000 in their forces of law and order) actively boycotted complying with the orders, allowing public disorder and in some cases came face to face with the national law forces (National Police and Civil Guard) who had 431 injured in what was far from being “a peaceful day of national protest”. The news and media networks subsidised by the regional Catalan government, supported by a network linked to the Russian government have systematically shared false images of violence and have distorted facts. The Catalan regional government has acted, and continues to act, as an organization devoted to a coup d’état. The autonomous administration has been dedicated to providing political coverage and material support to organized groups that act in open rebellion against the constitutional order, including occupation of schools, cut-off of communication channels, attacks on Spanish police forces, and widespread intimidation of a majority of Catalan society dissatisfied with this state of affairs. The “brutal repression” that is being spoken of has resulted in the total of two people hospitalized, one of them an elderly man who suffered a heart attack. With respect to the “wounded,” which separatists number at about 800, these people are just those who have been “served” by public health services, including fainting, anxiety attacks and smoke inhalation irritations. Manipulation and propaganda, aimed at shocking the good feelings of people who are not aware of what happened, is unprecedented in democratic Europe and throws back to the history of the totalitarian regimes of the thirties and forties. Finally, we would like to underline that all of Europe would be very negatively affected if the separatist plans ended up being imposed. Spain is not the only member state of the European Union with separatist tensions, and the possibility of repealing its constitution and its territorial integrity by means of fait accompli – following a script reminiscent of the explosion of the former Yugoslavia – would affect many other States sooner or later, ending the magnificent project of a Europe free from destructive and xenophobic nationalism within its own borders. We believe that it is time for European institutions to support Spain to restore constitutional order and the rules of democracy in this part of the country, and part of the European Union, currently controlled by a seditious administration and a corrupt political class. Publicado en Málaga Hoy el viernes 29 de septiembre de 2017. Escribir gran literatura en una lengua que no se mamó desde la cuna, me parece algo milagroso. Hablo aquí de tres de ellos, uno bueno (Kosinski) y dos, grandísimos. Hay más (Cioran, por ejemplo), pero estos tres cubren mi propósito. Cruzaremos Francia en un 2CV y leeremos a Conrad. Fue una propuesta de mi amigo Willy, cuando éramos bohemios y comíamos perdices. El polaco Conrad creó su grandiosa literatura en una lengua adoptada. Milagroso. Otros pocos también lo han hecho, entre ellos dos eslavos como él.